Large Display Stand. 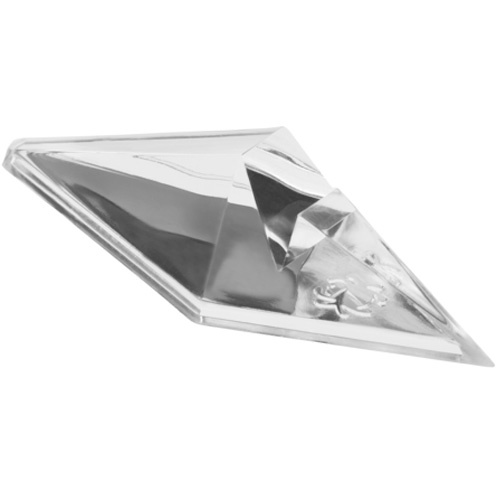 Acrylic diamond shape wedges are a simple eye-catching way to display your knives. They sit flat on a countertop or in a display shelf holding one opened knife at a 45 degree angleMultifaceted and molded from sparkling clear Lucite that catch and reflect light, they are engraved with a Spyderco logo bug on the bottom.